March 1865: The United States was at a crossroads and, truth be told, Abraham Lincoln was a sick man. 'I am very unwell,' he confided to a close acquaintance. A vast and terrible civil war was winding down, leaving momentous questions for a war-weary president to address. A timely invitation from General U. S. Grant provided the impetus for an escape to City Point, Virginia, a journey from which Abraham Lincoln drew much more than he ever expected. 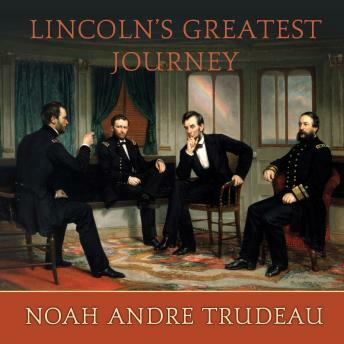 Lincoln's Greatest Journey: Sixteen Days that Changed a Presidency, March 24-April 8, 1865 offers the first comprehensive account of a momentous time. Lincoln traveled to City Point, Virginia, in late March 1865 to escape the constant interruptions in the nation's capital that were carrying off a portion of his 'vitality,' and to make his personal amends for having presided over the most destructive war in American history in order to save the nation. Lincoln returned to Washington sixteen days later with a renewed sense of purpose, urgency, and direction that would fundamentally shape his second term agenda.